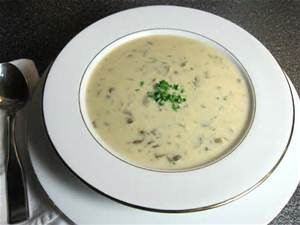 On these cold wet days, what better way to warm-up, than a home-made cream of mushroom soup. It is cheap and easy to make and if you want to jazz it up even more then add some white wine or sherry just before the end of cooking. Go on, have a go, it's worth it! Heat the oil in a large saucepan and cook the onion over a medium heat for about 5 minutes until soft. Stir in the stock, parsley and salt and pepper, then bring to the boil, cover and simmer gently for 15 minutes. 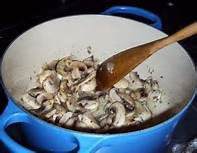 In a small bowl mix the cornflour with a little cold water and stir into the soup,cooking for about 3 minutes until the soup has thickened. 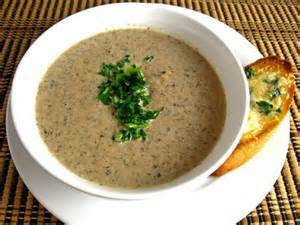 Stir in the cream, garnish with a little parsley and serve at once with crusty bread.